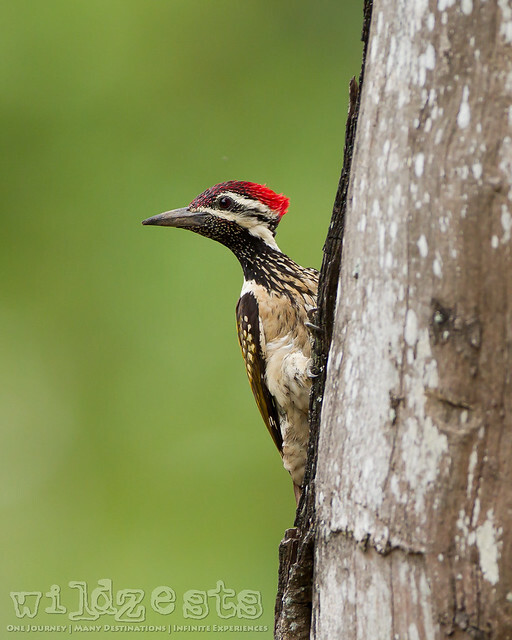 This season it did seem like the woodpeckers had taken to Bandipur in huge numbers. Everyday, we could spot a number of them flying around on trees by the safari tracks. And the fact that we spotted four different species (viz Black Rumped Flameback, Streak Throated, White Bellied and Rufous) in this trip is worth mentioning. 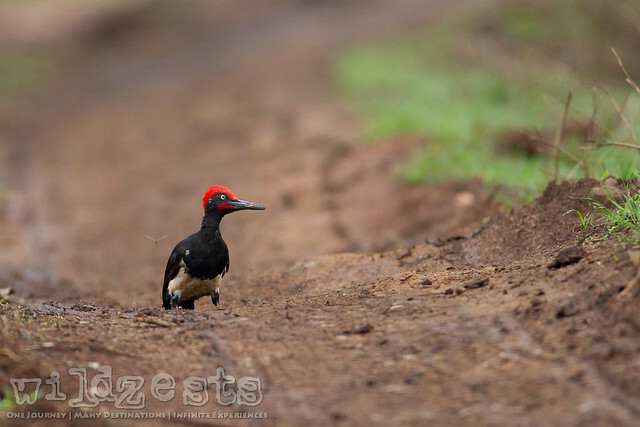 This black-rumped flameback woodpecker was happily feasting at a termite mound when we noticed it. This was one of the very cooperative subjects I've had in this trip and it posed nicely as it flew to the tree nearby. While we were waiting on something else, this Streak Throated Woodpecker flew in suddenly and all we had were a few seconds before it flew off again. This is easily one of my best images of this beautiful bird, so I wouldn't complain of the short visit. And last but not the least, we had a White Bellied Woodpecker foraging on the tracks ahead of us. This isn't the best of my shots, but I'm going to put it up here to complete the list of sightings. 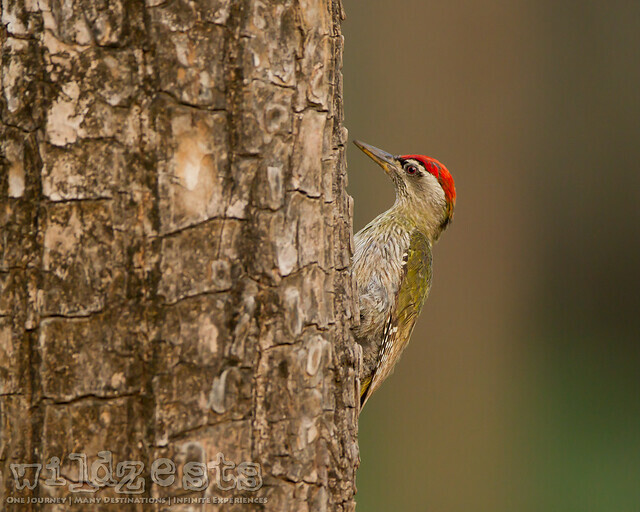 Sadly, we couldn't get any pictures of the Rufous Woodpecker.